Part Pastor, Part Prehistoric Killing Machine – Velocipastor! So I had every intention of writing a rather lengthy intro to the trailer for Velocipastor. I was going to talk of scantily clad women. I was going to pontificate on the awesomeness of ninjas and how their universal appeal has transcended that of the mystic mountain gorilla. Then, I came to my sense and thought it best that I let the unbridled majesty of the trailer speak for itself. Behold! 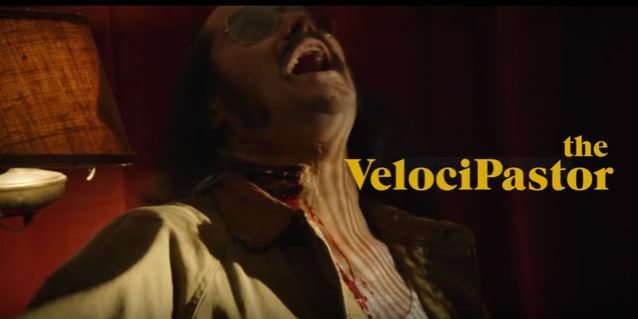 Velocipastor!